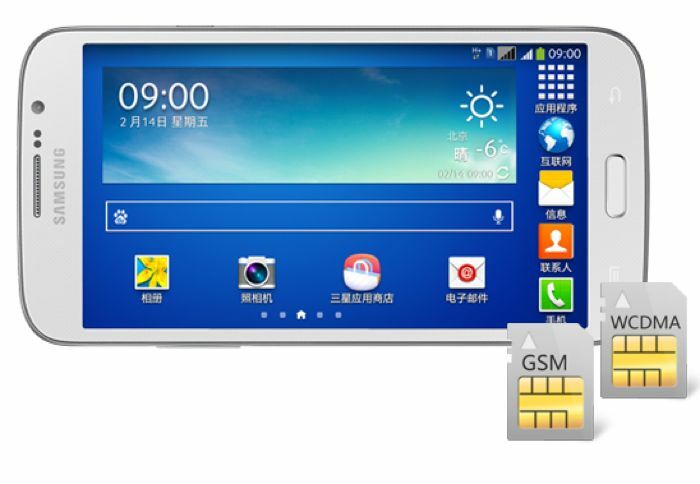 Samsung has added a new smartphone to their Galaxy Mega range in China, the Samsung Galaxy Mega Plus, and the handset is basically a Samsung Galaxy Mega 5.8 with a new processor. The Samsung Galaxy Mega Plus comes with a 5.8 inch display that has a qHD resolution of 960 x 540 pixels, the device is powered by a quad core processor with a clock speed of 1.2GHz. Other specifications on the Samsung Galaxy Mega Plus include a front facing 1.9 megapixel camera and a rear facing 8 megapixel camera. The device also comes with a 2,600 mAh battery, plus WiFi, Bluetooth and A-GPS, there is also a dual SIM card slot with support for WCDMA and GSM networks. The Samsung Galaxy Mega Plus comes with Android Jelly Bean and a range of Samsung apps include Samsung’s translator app and ChatOn. There are no details as yet on whether Samsung will launch the Galaxy Mega Plus outside of China, who knows we may see the device at MWC at the end of the month.